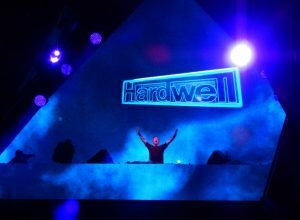 RIO DE JANEIRO, BRAZIL – Hardwell will return to Rio de Janeiro to perform on the final night of the Rio Music Carnival festival on February 9th. The Dutch DJ and producer, well known for his EDM, big room and progressive house sounds, recently took a moment to speak with The Rio Times via email about his career and his thoughts on his upcoming show. Hardwell will headline the closing night of the 2016 Rio Music Carnival on February 9th, photo by Gerard Henninger/press image. Part of the Rio Music Conference, the Rio Music Carnival will run concurrently with the main celebrations of Carnival on February 5th, 6th, 7th, 8th, and 9th. DJ Hardwell will headline the final night of the festival. The twenty-eight-year-old Hardwell is no stranger to Rio de Janeiro, performing here last in December of 2014 as part of his Go Hardwell or Go Home tour. 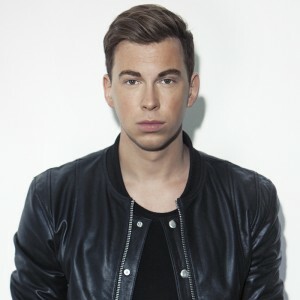 Born Robbert van de Corput in Breda, Netherlands, Hardwell entered the industry at a youth age. By the time he was twenty-five, he was voted the number one DJ in the world, becoming the youngest ever DJ to take the number one spot on DJ Magazine’s Top 100 DJs Poll. Hardwell performing at the 2015 Spring Awakening Music Festival in Chicago, United States, photo by swimfinfan/Flickr Creative Commons License. Hardwell first gained worldwide attention in 2009 through the release of his single “Show Me Love vs. Be”. He would go on to build his fanbase through singles that included to “Dare You”, “Young Again”, “Encoded”, “Cobra,” and “Follow Me”, among others and through his extensive touring and highly acclaimed live sets at major festivals. In 2010, Hardwell created his own label, Revealed Recordings. Focusing mainly on the genres of big room, dance, progressive and electro house, the label, headquartered in Breda, Netherlands, includes artists Kill the Buzz, Julian Calor, Manse, and Thomas Newson, among others. In 2013, Hardwell released “I AM HARDWELL,” a documentary film that gives an inside look into Hardwell’s live performances and his rise to fame. Additionally in January of 2013, Hardwell released his debut solo album United We Are. When: Hardwell show – February 9th. Festival Rio Music Carnival – February 5th through February 9th, Rio Music Conference – January 27th through February 9th.